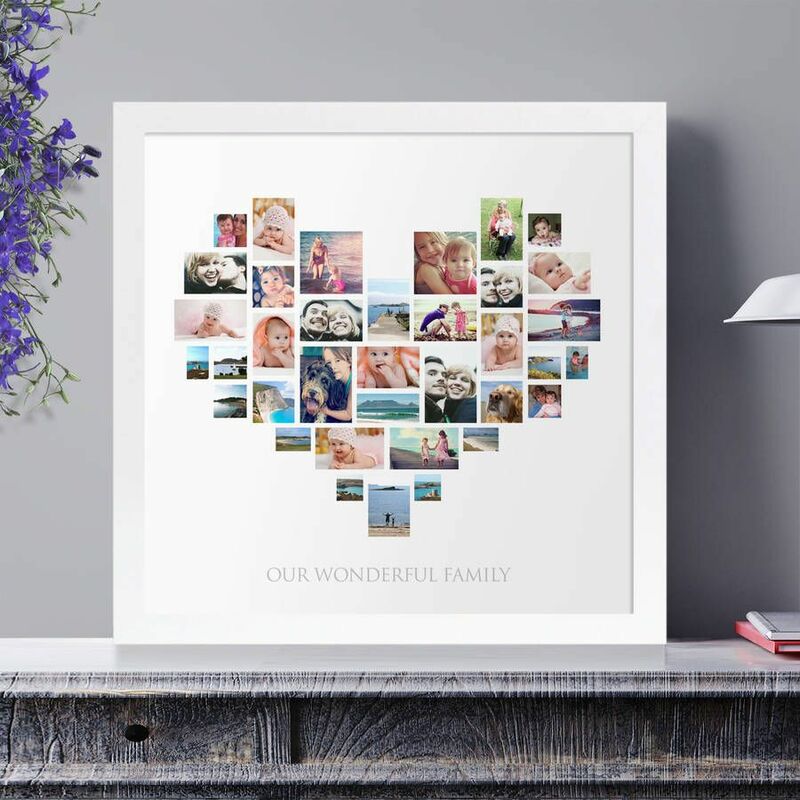 Surround yourself at home with art that is meaningful to you and your family with this personalised heart photo collage. All our art is hand-made by us in our studio, therefore there is no time delay if you would like to order a framed & mounted print or a canvas over an unframed print. We don't out-source any of our production or framing so we can deliver really fast! Please note, this design is also available as a digital download where your artwork is created and you are sent a high resolution file to print yourself. 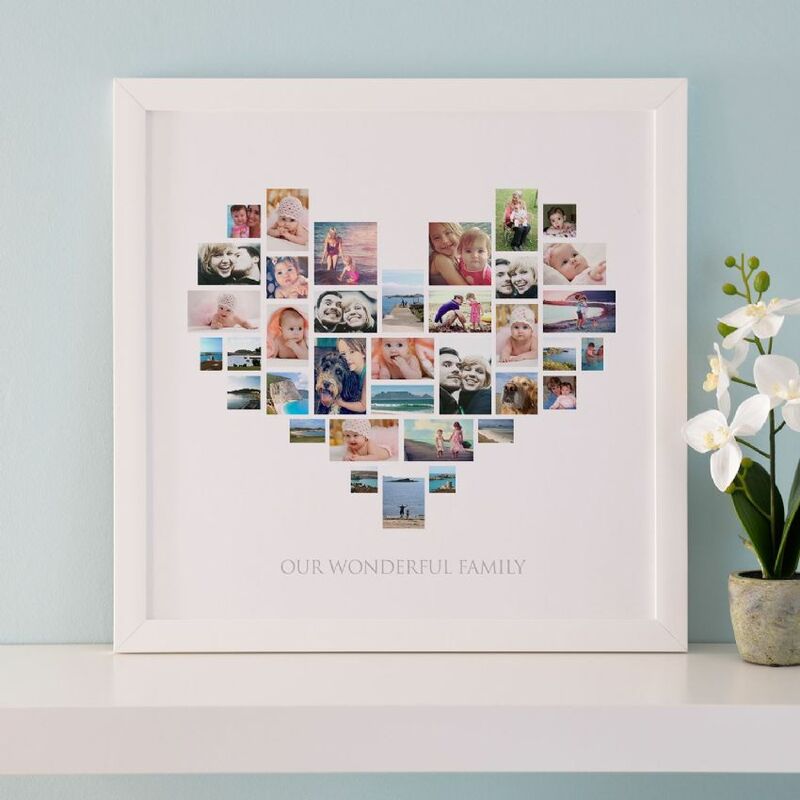 Bring your special moments in time to life on your walls. Add your favourite pictures from your wedding day, from a special holiday shared with loved ones, your family & children's most magical moments, your pets... any pictures or snap shots that are special and meaningful to you and your family! You can send us 36 pictures for this design and a quote of your choice to go under the heart. 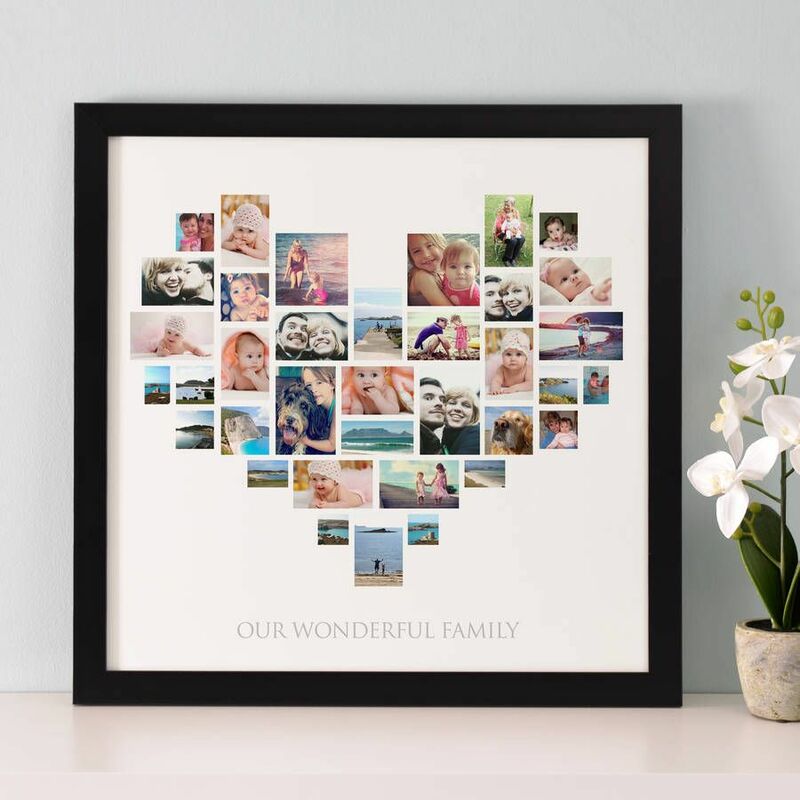 Once we receive your order, we will get in touch with you promptly to ask for your 36 pictures which you can email to us. 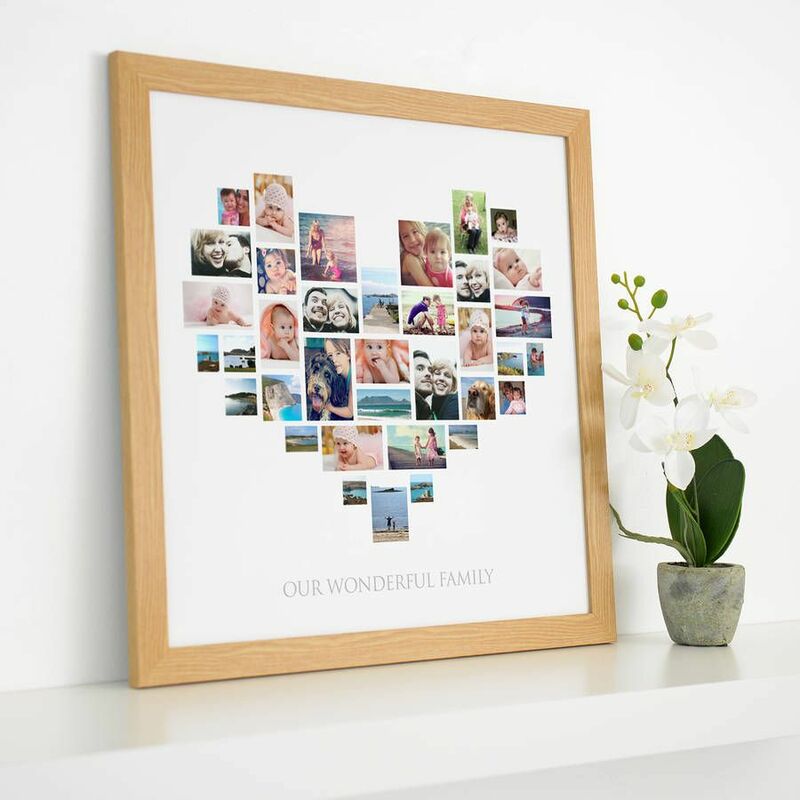 Please supply good quality, high resolution pictures for printing as low resolution images will print blurry. If you are unsure, please send us your pictures and we will let you know. A proof will be sent to you to approve before your art is printed. Proofs will need to be approved within 24 hours to keep to the advertised delivery times. 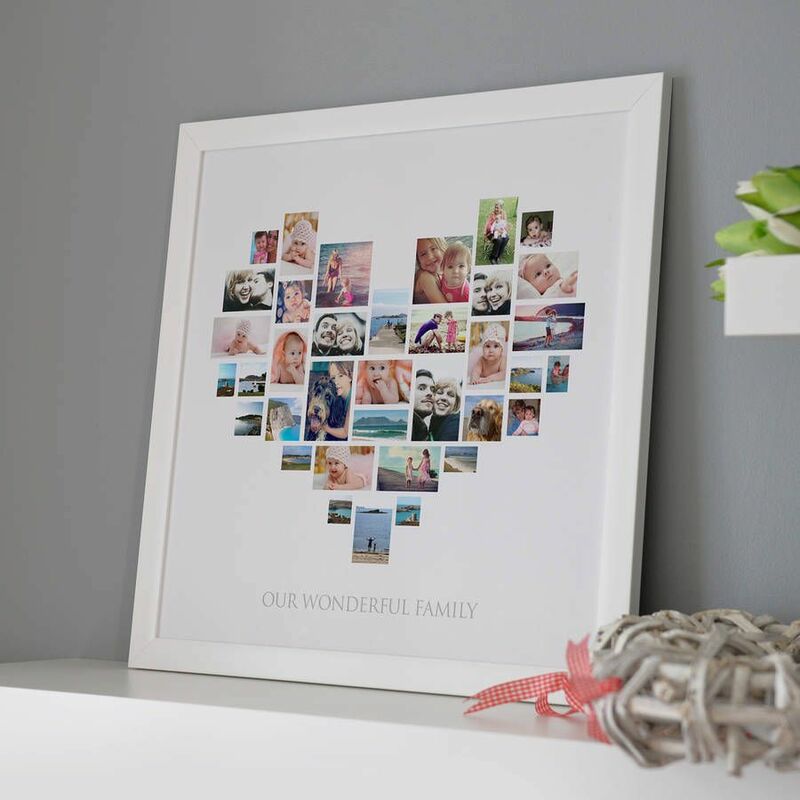 * Framed Prints: Printed onto high quality photo satin paper. This is then professionally mounted onto thick card to prevent the print buckling in the frame. Our frames come with clear acrylic, not glass, to prevent damage in transit. The frame is 3cm thick. Wall fixings are supplied. The frames come in 3 colours: black, white & wooden. Unframed print size: 50cm x 50cm. Block mounted print size: 50cm x 50cm. Framed Print size: 50cm x 50cm (this is the overall finished frame size). Please note: no photo editing will be done to your photos. quality of the present and speedy delivery."